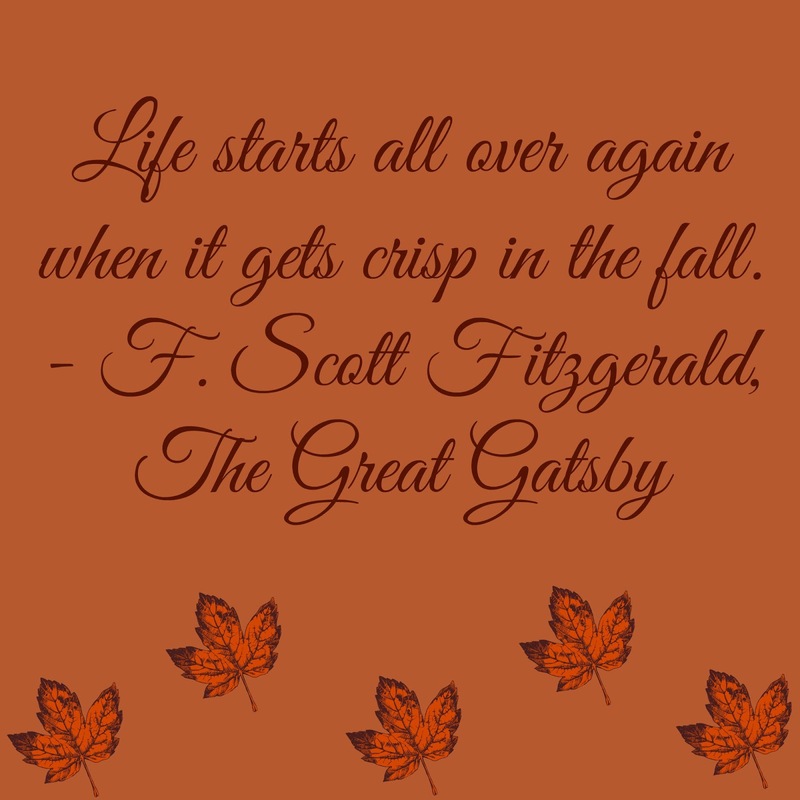 Autumn is my absolute favorite time of year and part of what makes it so special are the sensory changes that happen around me as Summer transitions into Fall. Sights, sounds, smells… It totally takes over as we move from fresh Summer foods to hot, comforting dishes, from tank tops & shorts to cozy sweaters and from warm evenings spent outside to crisp cool nights at home with candlelight and a snuggly blanket. I love it - I seriously drink it all in and it feels more like a new beginning for me every year than New Year's Day. 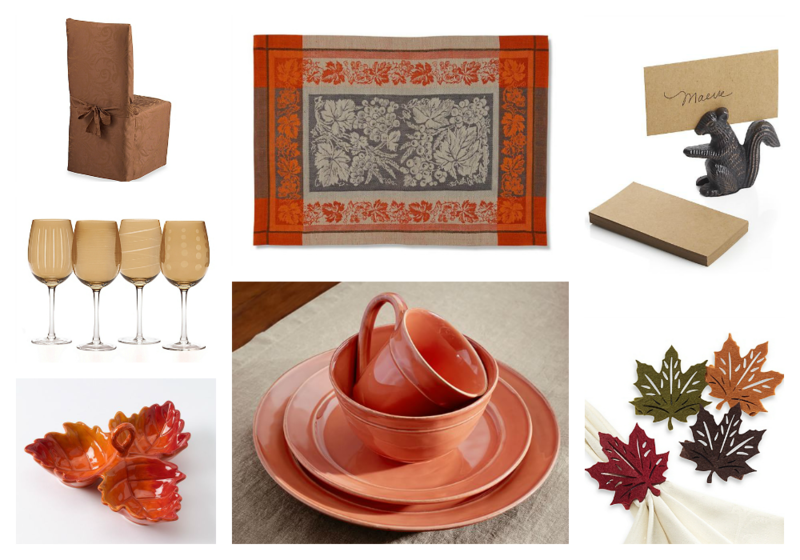 Whether you're the type to fully deck your halls with pumpkins or you're more laid back, it's simple enough to infuse a little of the Autumn season into your home. There's no need to go over the top to get things at home a bit more seasonal and you may choose to just try one of the things below or go with all five. However you choose to embrace Autumn at home is totally up to you. Here's a little inspiration for how with a few simple touches, you can sit back, relax and enjoy the seasonal vibe! 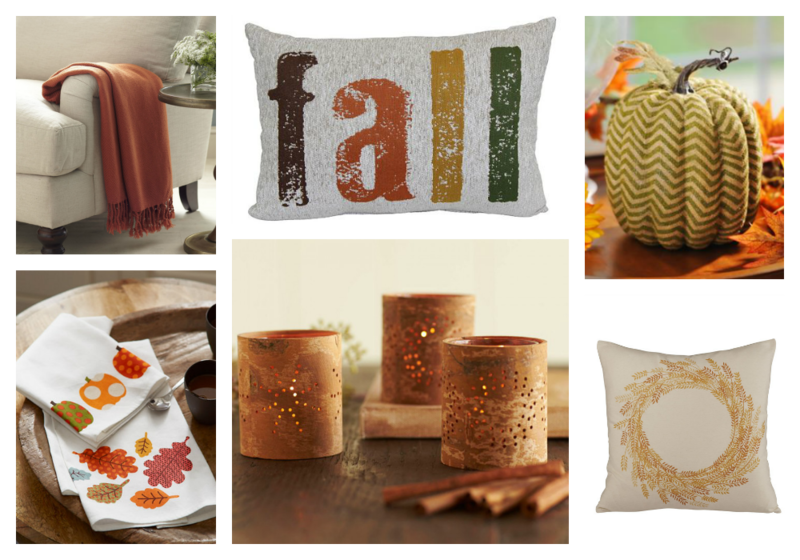 There's no need to start slinging pumpkins and acorns to get the Autumn feel at home. Just as you may choose to change your personal fragrance with the seasons, you can also change the fragrances in your home. 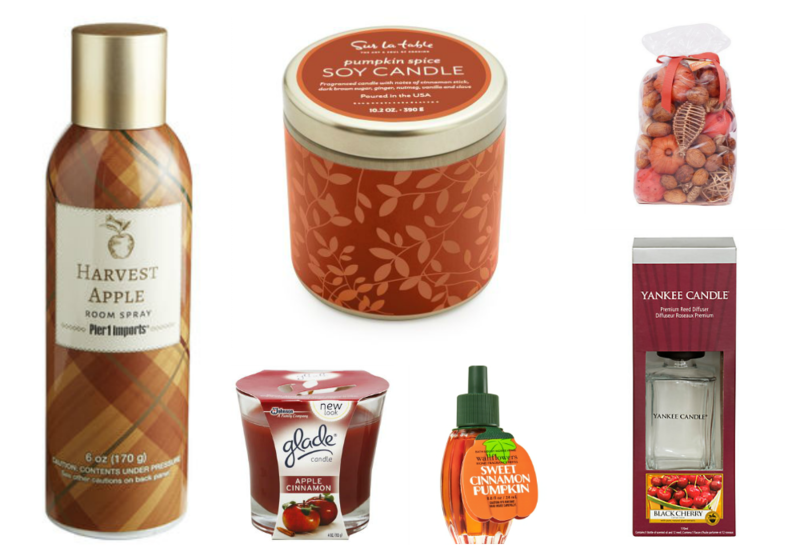 When Autumn rolls around, I love opting for home fragrances in the forms of room sprays, candles, potpourri, plug-ins and diffusers in flavors like apple, cinnamon and pumpkin spice. These scents remind me of pie and they're a bit warmer than the citrus fragrances I love for summer or the florals I prefer for Spring. You can accentuate the decor you already have with the simple addition of some flowers or foliage at home. Wreaths, swags, garlands or even pretty floral arrangements in Autumn colors will do the trick! You may choose to go with something silk that you can store away in other months and bring out every year. Alternatively, if you just want the vibe for the Autumn dinner party you're throwing, most florists offer fresh Fall floral arrangements you can purchase to use as a centerpiece or on the mantel. For a more budget option, just scope out the flower options at your local grocery store and look for colors like orange, red and yellow. Even a simple vase or two with orange roses or daisies will add that Autumn feeling to your home. There are so many options these days for switching out your home accessories from pillow covers that simply zip on to tea towels and candle holders. This time of year, I like to go for gold, green or brown votives and little pumpkins or gourds that I can dot around my flat. A simple throw in orange draped over a chair arm, a fun new throw pillow or a few tea towels draped over the oven handle in the kitchen can get you in the festive Fall spirit… It's as easy as a browse on the internet to get a few things for the change of season. I got my love of festive tableware from my mother. She always has seasonal dishes at home and little accents to add to the table around Halloween & Thanksgiving. Whether you dine at your dinner table daily or not, you can decorate it for the season with Autumn hued dishes, napkin rings, placemats, place card holders, serving dishes and warm colored glasses. These simple touches will take you right on through to Thanksgiving when you open your table and your home to guests, but in the meantime they double as decoration for your home. If you love the idea of decorating for Autumn, but simply don't have the time, budget or energy to deck out your entire home, don't worry about it… Simply choose a focal point and make that festive such as a mantel, the foyer of your house or even your front door. I live in a small London flat, so I tend to focus decorations during festive seasons on my mantel and dinner table - they're close together and in the main social room of my home. 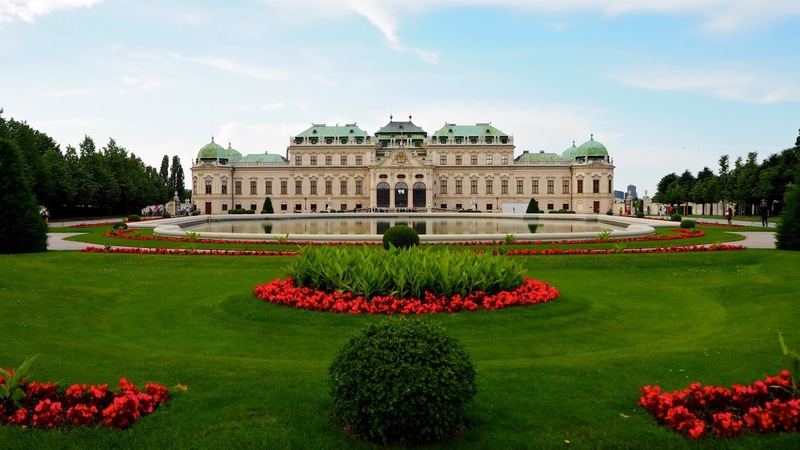 However, if you live in a bigger house and have more space you may choose to focus outside with fodder shocks, scarecrows, a wreath or pumpkins. Wherever you're focal point for decoration, you can choose to be as minimal or as outlandish as you like, but just make sure you're able to enjoy it. I love the mantel because it's where my television is, so I tend to see and enjoy my decorations most evenings when they're up and it really puts me in a festive, seasonal mood. 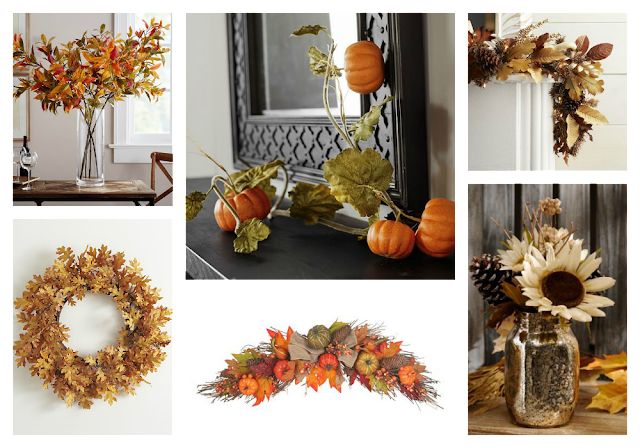 For a little inspiration on decorating a specific area of your home, be sure to check out my Autumn Pinterest board below and follow Pink Julep while you're there! Follow Ashley's board Autumn on Pinterest.